Postcard showing the Mt. 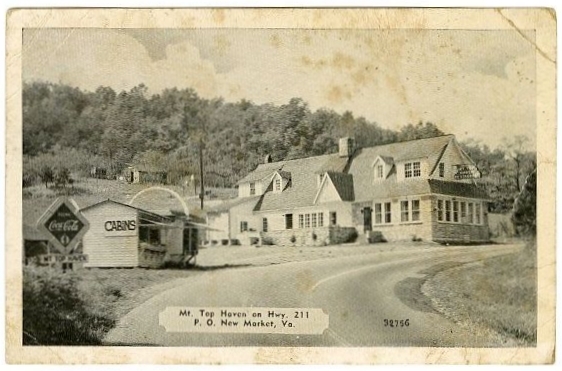 Top Haven restaurant and hotel located on US route 211 at the summit of Massanutten Mountain. Dexter Press Pearl River NY, “Mt. 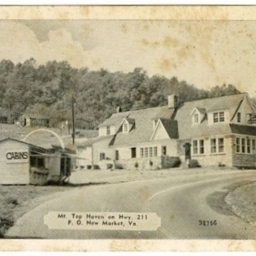 Top Haven on Highway 211,” Shenandoah County Library Archives, accessed April 22, 2019, http://archives.countylib.org/items/show/5603.